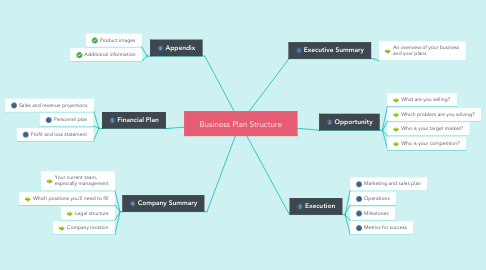 This diagram outlines the structure and elements of a business plan. You can use this template as a starting point to write your own business plan. 2.1. What are you selling? 2.2. Which problem are you solving? 2.3. Who is your target market? 2.4. Who is your competition?